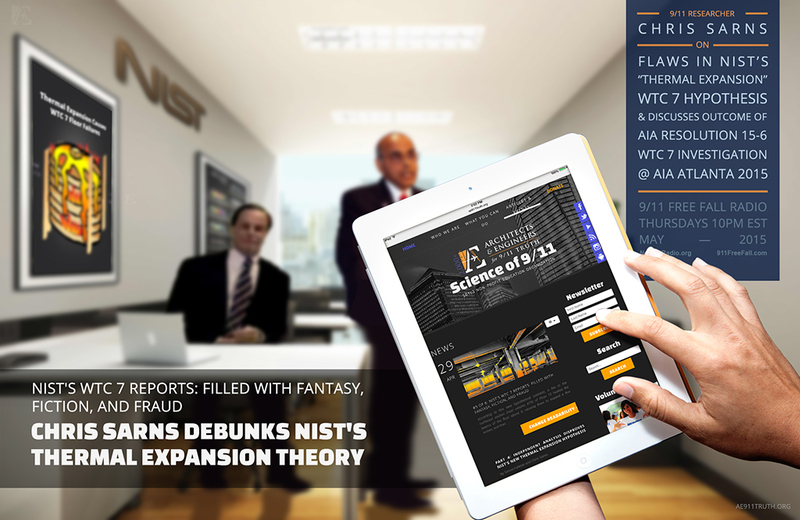 Tonight at 10PM EST/7PM PST: 9/11 researcher Chris Sarns discusses his latest series of articles examining the flaws in NIST's "thermal expansion" hypothesis for WTC 7. He also comments on the outcome of the WTC 7 resolution vote at the AIA convention in Atlanta last weekend. The 911 Truth Movement Room has over 200 important videos in its library.